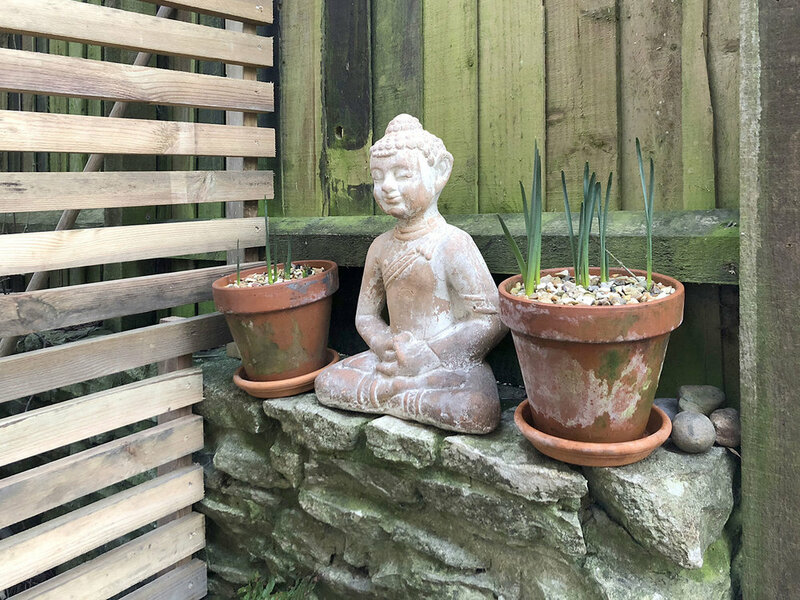 Located to the rear of White Stones Art Cafe's secluded and tranquil gardens there are three holiday studios available, each sat nestled together in peaceful surroundings. Each bespoke holiday studio is finished to a high standard and provides a contemporary holiday experience. Our site completion date is mid December. Head over to Airbnb or Contact us to book direct and receive some great added benefits. Book via our website and receive all these benefits and special offers! Bigger discounts available for stays over two weeks, get in touch with us to find out. Receive 10% off all food and drink in the Art Cafe during your stay. 10% off any mosaic workshop booked. To find out more and to make your booking please call David on ‭07769557649 or email us and we look forward to welcoming you soon. 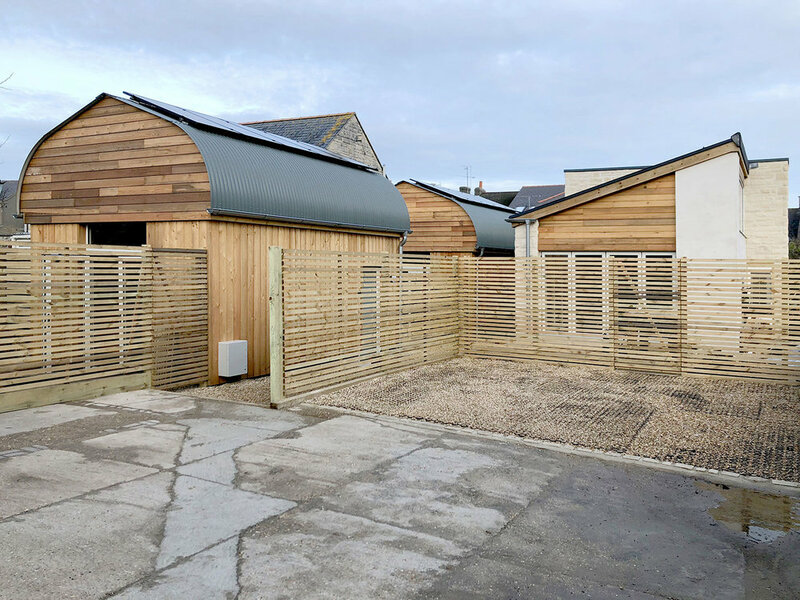 Our contemporary architect designed holiday studios where built in 2018 and are located alongside the working arts studio of artist and owner David Nicholls. 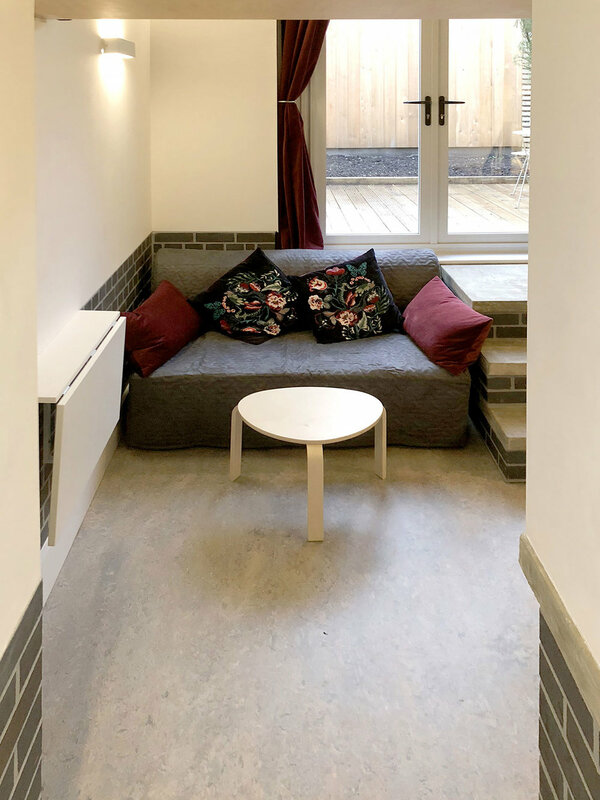 The living accommodation is cosily compact and has been designed to feel as spacious as possible with high ceilings and large double doors leading onto a private courtyard. The accommodation is set slightly down in the ground to allow for a mezzanine bedroom area. 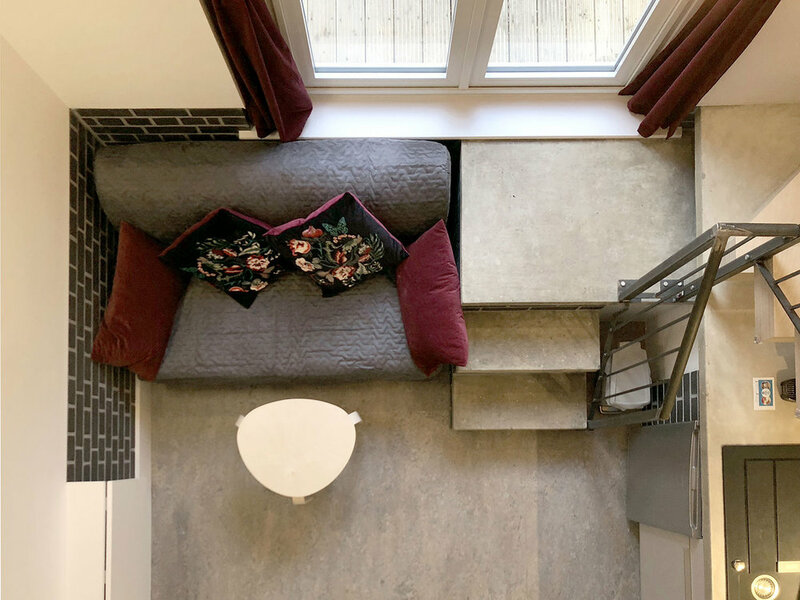 There are steps down into the main living area and also up to the courtyard and mezzanine bedroom making it unfortunately unsuitable for people with restricted mobility and also young children. Each holiday studio sleeps two most comfortably but there is a double sofa bed which could accommodate up to two more adults or a teenager. The main king size bed is located on the mezzanine accessible via steps and the sofa bed is located in the main living area. 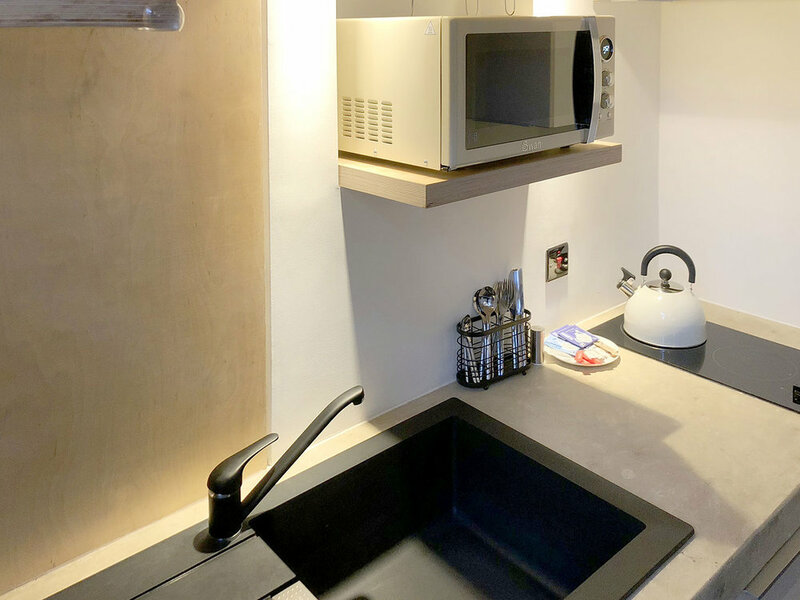 Also in the main living area is a kitchenette with sink, double electric hob, microwave, fridge and utensils. There is a fold away table and chairs for dining. Each holiday studio has its own Wi-Fi and smart TV. The bathroom is located just off the entrance hallway and consists of toilet, sink and walk-in rainforest shower. We offer a choice of a three-night weekend stay of Friday to Monday, a four-night mid-week stay of Monday to Friday or seven nights starting on a Monday or Friday (Breaks over the festive period may vary). If you require a longer stay please bear in mind the end and start days. If in doubt please feel free to make contact before booking. Please note: only one specific studio is available to accommodate guests with one small to medium-sized dog. This will be an additional fee of £30 for midweek and weekend breaks and £60 the week, which can be paid upon arrival, or prepaid if your booking is made through our website. Guests will have full use of their own holiday studio and their own private courtyard, with parking for one vehicle per holiday studio. Free electric is available via one of our two Tesla charging points. Guests will have full access to the cafes peaceful gardens during the day and after closing time. David Nicholls runs Mosaic workshops and these along with other art & wellbeing courses are will be available in his adjacent art studio. If you want to be pampered or treat your loved one we have a range of relaxing In-house treatments available by Claire of Cottage Therapies. Please visit www.whitestonesportland.com to check the availability of David's mosaic workshops or any other course or to book an in-house treatment. Guests will be able to collect their key via a coded box to let themselves in on arrival and then they have full use of their private area. The owner, David will try to meet and greet all guests after arrival just to make sure everything is ok. He lives with his partner Lynn above the art cafe and will generally be on site if needed or if a problem should unfortunately occur. You will often find David in his adjacent studio if you have a query with anything. It is our aim to make your stay as comfortable and enjoyable as possible. 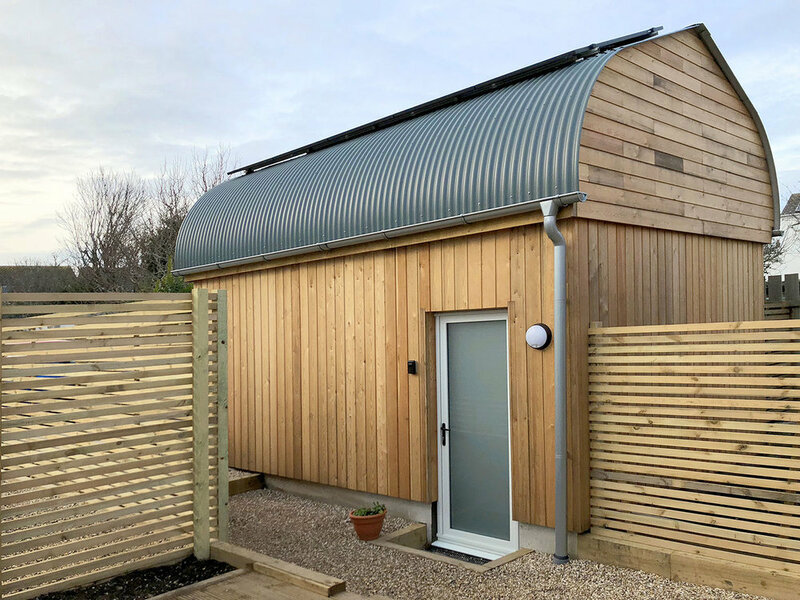 Our three holiday studios and art studio have been built (as much as possible) with sustainability and care for the environment in mind to provide an environmentally friendly stay. Electric, under floor heating and hot water are provided via onsite solar PVE and Air Heart Source. This is achieved during the majority of the year and when not, we buy in energy from a 100% green Energy supplier, Good Energy. Also If you have an electric or hybrid car you can make use of our two Tesla charge points for free and green energy. 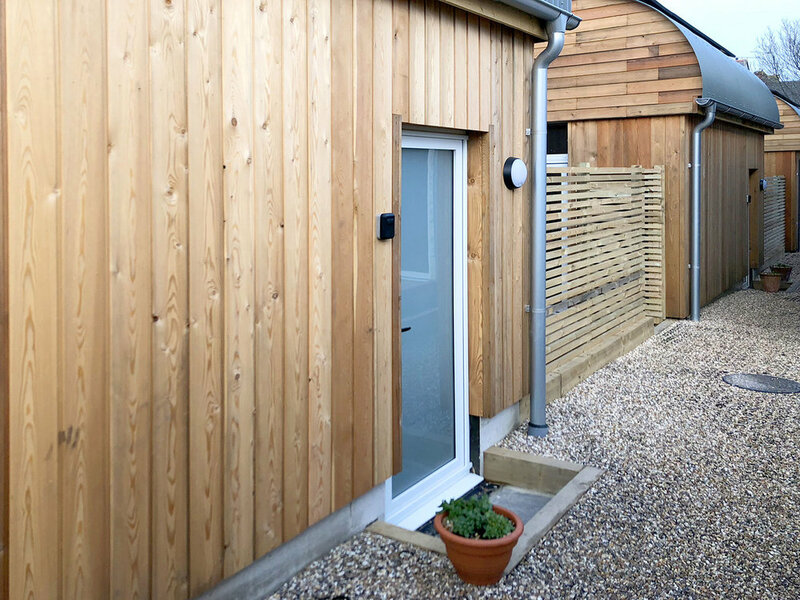 The majority of Laundry is carried out on site using our onsite green energy sources and filtered water from the rain water harvesting system. We only use biodegradable detergents and conditioners and the cleaning of the studios is carried out using biodegradable cleaning products. Waste water flushing is provided via our onsite rain water harvesting tank and our complimentary toiletries are all natural and biodegradable. 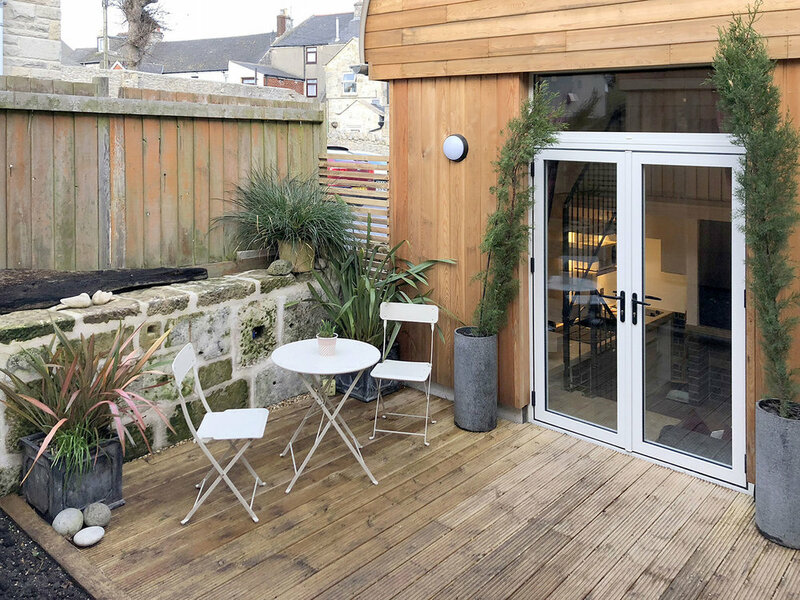 Rain water is also reused to water all the garden and patio areas and we have full on-site recycling facilities provided for all food waste, glass, paper, cardboard, metal etc. We are committed to improving and maintaining our sustainability and one of the features to be added in the near future is a Tesla Power Wall. This will enable us to hopefully be 100% self sufficient with energy usage.